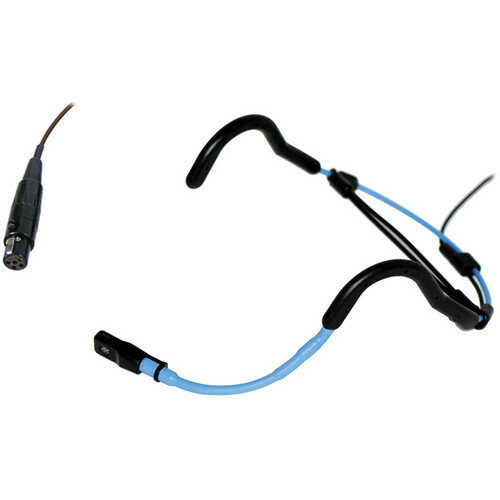 The black Voice Technologies VT720 Noise-Cancelling Water Proof Headset Microphone with TA5F Jack is a rugged, waterproof resistant headset microphone well suited for aerobics instruction, vigorous stage performances, field reporting and use in noisy surroundings. The microphone features a sensitive, bi-directional, noise cancelling capsule capsule that is impervious to noise and signals at the rear and off-axis sections of the capsule. The noise cancelling design is most effective in eliminating unwanted noise and adjacent audio. Both the capsule and boom are sealed for protection against moisture and dust. The headband is form fitting, lightweight and comfortable to wear. Box Dimensions (LxWxH) 13.0 x 9.0 x 5.0"